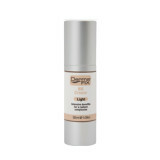 DermaFix Advanced Cosmeceutical Skin Care represents dermatologically approved and clinically effective products, formulated for the correction, prevention and protection of the skin. 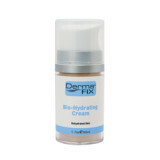 DermaFix provide cutting edge, innovative and effective solutions for Superior Skin Care, with continuously updated formulations including some of the following ingredients i.e., Stem Cells, Telomeres, Liposome encapsulated Peptides, Advanced Natural Phytonutrients and Botanicals. 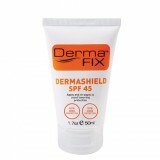 DermaFix is distributed through a vast network of dermatologists, skin care professionals, doctors and medi-spas. 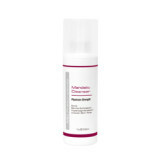 This special cleanser is multifunctional as it delicately yet deeply cleanses the skin. The skin re-acquires its original equilibrium dealing with various problematic skincare concerns. Price: R330 Size: 200ml Availability: Selected dermatologists, skincare professionals, doctors and medi-spas. 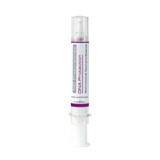 A lightweight all-in-one formulation that evens out skin tone, illuminates dull complexion and creates a flawless finish. 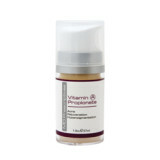 Enriched with vitamin E and soy peptides for a powerful antioxidant and anti-ageing benefit. Not only moisturising but protecting with organic and inorganic UV filters. Price: R250 Size: 32ml Availability: Selected dermatologists, skincare professionals, doctors and medi-spas. 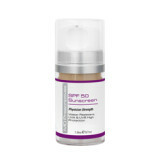 Our sunscreen provides true high UVA/UVB protection. This revolutionary product contains transparent Zinc Oxide, which protects skin from the damaging UVA rays proven to be responsible for premature signs of ageing. 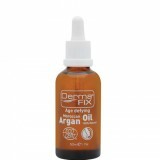 Price: R160 Size: 50ml Availability: Selected dermatologists, skin care professionals, doctors and medi-spas. A unique blend of organic enzyme-rich powders micro-exfoliates and cleanses the skin, leaving it noticeably smoother and more radiant. Price: R260 Size: 50g Availability: Selected dermatologists, skincare professionals, doctors and medi-spas.